This is the exhaust for the Spec E46 racing series and listed in the SE46 rules ( http://spece46.com/spece46-regulations/ ). Per SE46 rules, this must be used with stock E36 OBD-II exhaust manifolds that are sold separately. Together with the E36 manifolds this complete system eliminates the catalytic converters without the need to extensively modify the stock E46 exhaust. It's Made in the USA by Magnaflow with 3" stainless and mandrel-bent piping. The entire system, especially the front Y-pipe, has been designed to provide the least exhaust obstruction and promote flow. The front Y-pipe and merge collector simulates an equal-length header when used with the E36 OBD-II manifolds. V-band clamps make it easy to work on the exhaust or chassis in sections rather than dropping the entire exhaust system. A center resonator and rear muffler have been designed to cut noise levels for the more restrictive tracks. E36 OBD-II exhaust manifolds required (1996-1999 E36 328i/M3). These can be purchased new but good used manifolds should be easy to find. This is a race-only part and intended only for use in the Spec E46 racing series. 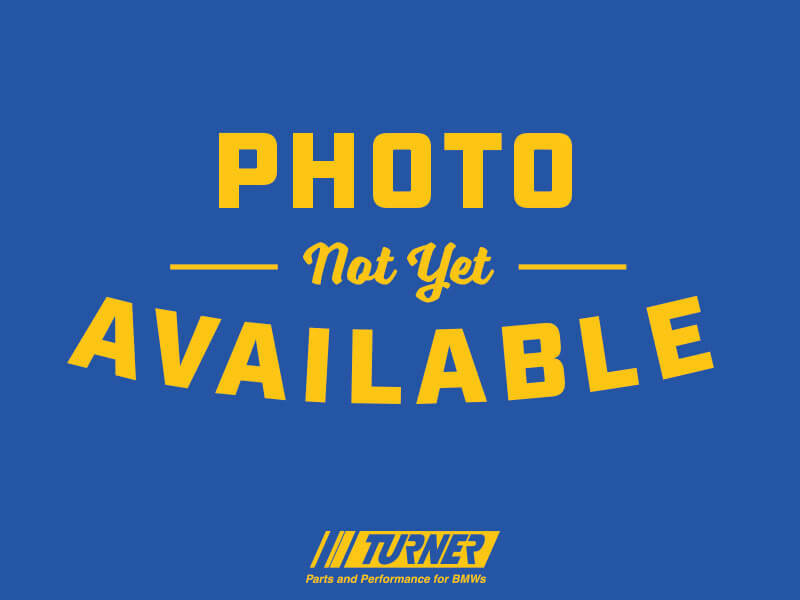 Because this part alters or deletes the emissions equipment on your car we require a waiver of emissions compliance to be signed and sent in to Turner Motorsport. You can download the waiver here. What makes the IKON unique? Like all Rogue Engineering products, the IKON exhaust system is entirely designed and developed in the US in our facility in Hohokus, NJ. By doing the development, fitting, evaluation, and testing here, you're assured a product that not only looks and sounds great but a product you can have installed with confidence. The budget-minded enthusiast will quickly notice that the first IKON offering, for the BMW E46 325/330 is price much lower than our DMS exhaust. With a price of only $550, this is undoubtedly the most affordable BMW specific exhaust offered to date. Isn't it time an affordable exhaust solution be available for the E46? By utilizing a custom-made, single muffler (instead of producing two, individual mufflers in our DMS system), Rogue was able to save manufacturing costs with this simpler design, and pass this savings to the performance customer. Many enthusiasts do not pay particular attention to the shape or size of the muffler, as long as it fits well and sounds good. The RE IKON fits this bill perfectly. How much performance should I expect to gain? In testing, replacing only a muffler or even the complete exhaust system on an E46 yields small measurable gains. Of course, these minute gains may be depicted on a carefully constructed dyno chart. Rogue Engineering looks at an exhaust with reality in mind, designing the exhaust to deliver great looks and sound, with minimal issues of fit. Of course, all of this at an affordable price would be a bonus. These are features that the Rogue Engineering IKON deliver! For real-world exhaust performance gains, this typically means replacing the largest restriction, the catalytic converters, located in the factory exhaust manifolds. From there, free flow aftermarket catalytic converters could be added downstream, after the exhaust gas velocity had an opportunity to accelerate out of the engine, allowing for the most LEGAL gas velocity allowable. This course of action, however, can typically can exceed more than $3000 plus installation. Replacing the ENTIRE factory exhaust system (resonators and rear muffler) with larger tubing WITHOUT addressing the largest restriction is an exercise in futility. This kind of exhaust "upgrade" will generally cost needless additional installation charges, fit issues (can 6 clamps on an exhaust REALLY fit like factory? ), and ultimately, drain your wallet faster than a Bugatti Veyron. Mandrel bent, dual 57mm tubing (stock is dual 50mm), allowing for increased air flow yielding positive performance gains. Mill-finished pipes and muffler, mirror polished dual 3" angle cut, double-walled, staggered tips. Rogue Engineering is proud to introduce their DMS (Dual Muffler System) exhaust systems for the E46 (non-M) in its latest offering to the performance exhaust marketplace. What makes the DMS unique? Like all Rogue Engineering products, the DMS exhaust system is entirely designed and developed in the US in our facility in Hohokus, NJ. By doing the development, fitting, evaluation, and testing here, you're assured a product that not only looks and sounds great but a product you can have installed with confidence. In testing, replacing only a muffler or even the complete exhaust system on an E46 yields small measurable gains. Of course, these minute gains may be depicted on a carefully constructed dyno chart. Rogue Engineering looks at an exhaust with reality in mind, designing our exhaust to deliver great looks and sound, with minimal issues of fit. Of course, all of this at an affordable price would be a bonus. These are features that the Rogue Engineering DMS deliver! For real-world exhaust performance gains, this typically means replacing the largest restriction, the catalytic converters, located in the factory exhaust manifolds. From there, free flow aftermarket catalytic converters could be added downstream, after the exhaust gas velocity had an opportunity to accelerate out of the engine, allowing for the most LEGAL gas velocity allowable. This course of action, however, typically can exceed more than $3000 plus installation. Mandrel bent, dual 57mm tubing (stock is dual 50mm) eliminates center resonator, allowing for increased air flow yielding positive performance gains.